- PEISEL(13). HR - POYTHRESS(7); FULLER(1); PAULSEN(8). CS - ALLEN(2). Win - ESMONDE (1-0). Loss - HARMAN (0-3). Save - FIELDS (7). WP - GRIMM(3). PB - HOGAN(3). ROTHLIN faced 2 batters in the 5th. scored. MASSANARI struck out looking. 2 runs, 1 hit, 0 errors, 0 LOB. Clemson 1st - FREEMAN out at first 1b to p. SCHAUS struck out swinging. ss. 0 runs, 0 hits, 1 error, 0 LOB. 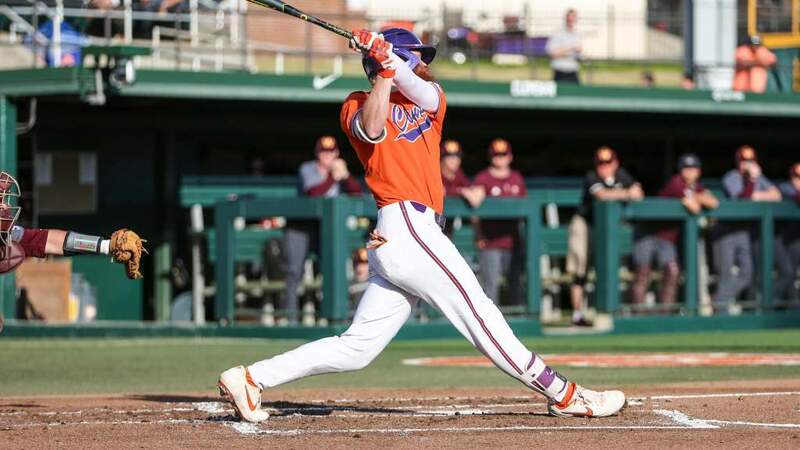 Clemson 2nd - PAULSEN struck out swinging. PARKER struck out swinging. BOYD walked. J. HINSON singled to second base; BOYD advanced to second. J.
pitch. SANDERS singled to right center, 2 RBI; J. HINSON scored; BOYD scored. out swinging. MASSANARI walked. MASSANARI advanced to second on a passed ball. ALLEN flied out to lf. 0 runs, 0 hits, 0 errors, 1 LOB. 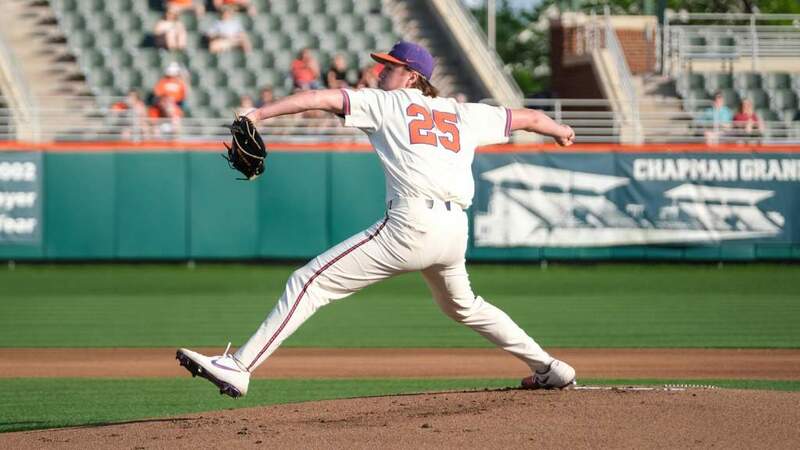 Clemson 5th - ESMONDE to p for LEAVER. FREEMAN struck out looking. Georgia 6th - MASSANARI grounded out to ss. ALLEN grounded out to 3b. to rf. BOYD grounded into double play ss to 2b to 1b; PAULSEN out on the play. Georgia 7th - PEISEL struck out swinging. OLSON singled to left field. singled to center field, RBI; MASSANARI advanced to second; BECKHAM scored. Clemson 7th - MONTGOMERY to p for ESMONDE. J. HINSON grounded out to ss. Clemson 8th - CERIONE to cf for FULLER. WEAVER to p for MONTGOMERY. FREEMAN flied out to lf. SCHAUS struck out swinging. HOGAN grounded out to 2b. Georgia 9th - R. HINSON to p for VAUGHN. OLSON singled up the middle.